Mauritius really is Heaven-on-Earth for anyone seeking the best in luxury island holidays. 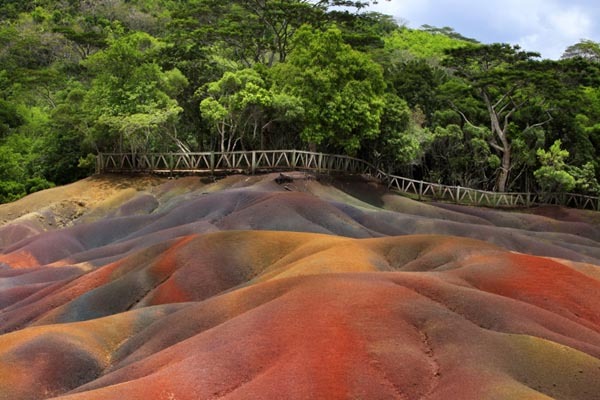 Of the three main Indian Ocean holiday destinations, Mauritius is arguably the more interesting and lively. Not only is it one of the most picturesque tropical destinations on the planet, with a rainforest-clad mountainous interior, pristine white-sand beaches and warm, turquoise water brimming with coral-reef life to explore, but it’s vibrant culture and unique cuisine (featuring influences from Asia, Africa and Europe) combine to make a Mauritius holiday absolutely unforgettable for you and your family. For a truly first-class, Mauritius holiday experience you need look no further than our carefully selected resorts just waiting to immerse you in their unique blend of stylish, island charm, elegant relaxation and exciting activities. Imagine indulging in a day of luxurious treatments in an exclusive spa; or enjoying the spectacular sunset from the deck of your thatched, ocean-front room; or swimming with dolphins in the warm, lagoon waters; or simply relaxing into the warmth of the Mauritian welcome. A holiday to Mauritius can be as action-packed or as chilled-out as you wish. Part of Mauritius’ charm is that it’s an island of many choices and with everywhere, naturally, claiming to be the best, planning your holiday here can prove stressful. Our team have unrivalled, expert knowledge which means when it comes to meeting your exact needs at the right price you can be confident you are in safe hands. Calling one of our Indian Ocean experts will make your luxury Mauritius holiday effortlessly perfect. Hotels will be added shortly. Contact us directly in the meantime.